The Global Product Stewardship Council recently joined Sustainability Victoria (SV), the Australian Battery Recycling Initiative (ABRI), MobileMuster, recyclers including TES-AMM and various retailers in launching Batteryback across 34 retail locations in Melbourne, Australia. 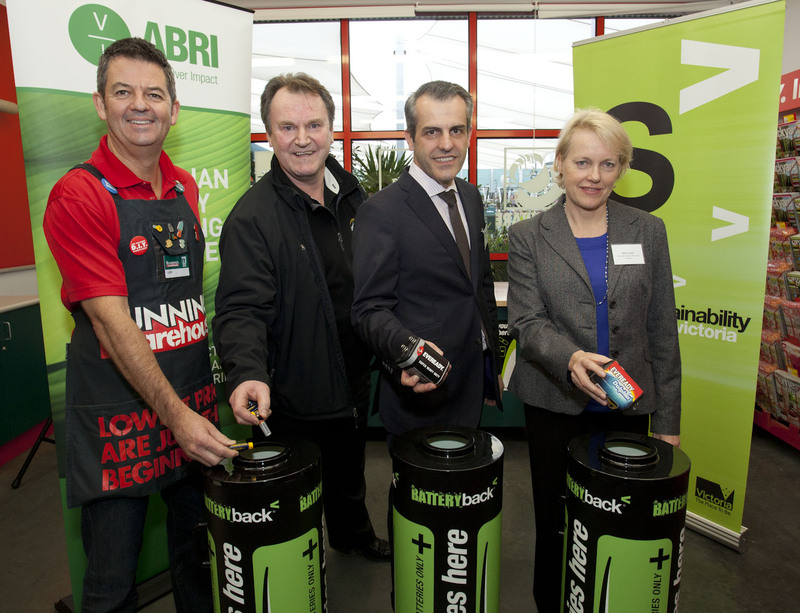 Batteryback is a free household battery collection and recycling service available at select Bunnings, Coles, HEARLINK, Michael’s Cameras, Queen’s Parade Hardware and Officeworks stores. “Every year 350 million batteries are imported into Australia. 260 million of these batteries will be disposed of and only 5% are currently being recycled. “Since Batteryback first began as a trial in 2007, the program has recycled over 8,000 kilograms of batteries, equivalent to over 421,000 AA batteries. Today, with 34 retail sites located across Melbourne it is now even more convenient for households to recycle their batteries. “Batteryback is a great example of government and industry working in partnership to provide safe disposal solutions for waste, increase recycling and maintain a healthy environment for all”, said Mr Krpan. The Australian Government and jurisdictions have been actively targeting batteries and paint for product stewardship initiatives. Packaging, air conditioners and refrigerators have also been targeted for possible action. The GlobalPSC and members such as SV, the Australian Paint Manufacturers’ Federation Inc. and Australian Packaging Covenant are collaborating to help ensure that such efforts are practical and effective.